With the wait for Graduation 2017 nearly over The British College welcomed many of its Advisors and UK partners to the college today. 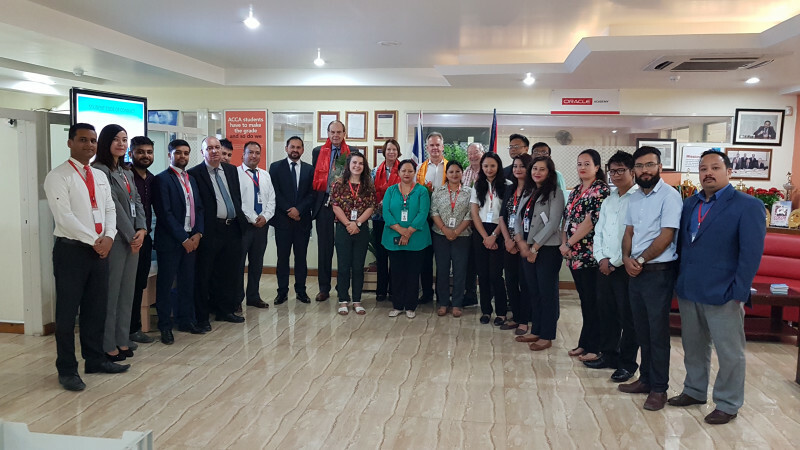 Mr Paul Cleves, Mr Michael Rutland, Lord Sandwich and Mrs Patricia Voaden were received to the college by many of the staff before a day of discussions concerning the next academic year and future of TBC. 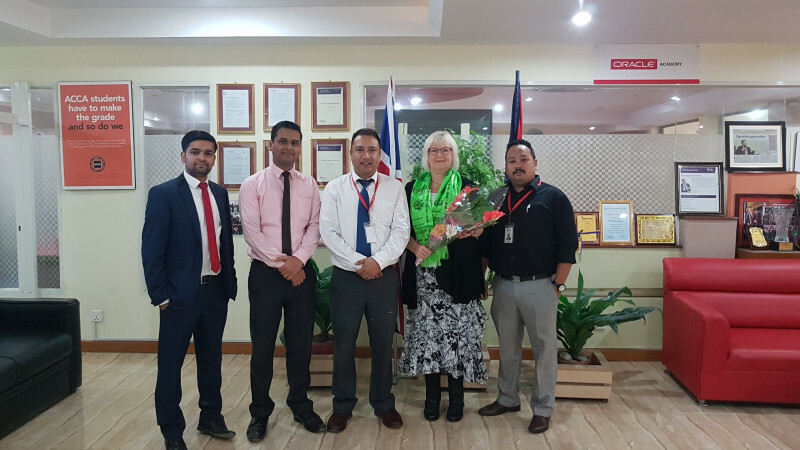 We are blessed to have them with us for this exciting week and hope they enjoy their stay in Nepal. British Model College student representatives elected. 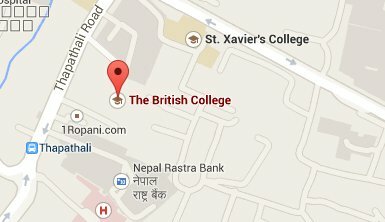 AS students of the British Model College elected their representatives on Monday. The class representatives were given their badges after they were selected through students’ ballots. 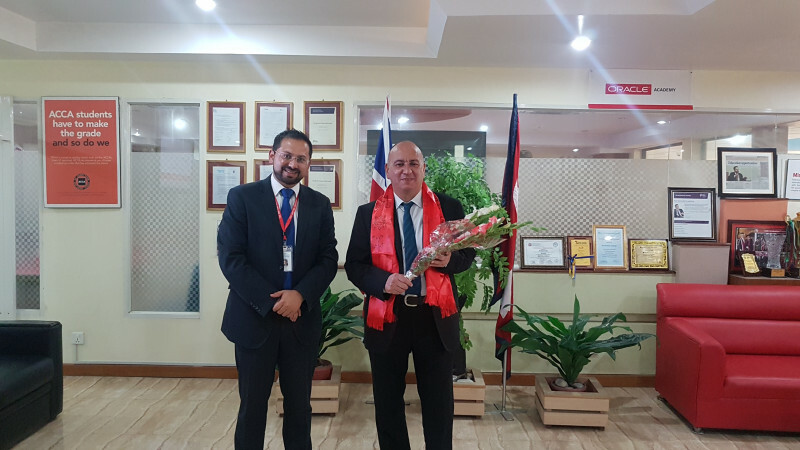 The elected representatives were sworn into their positions as they took an oath to uphold the responsibilities that accompany their respective position. 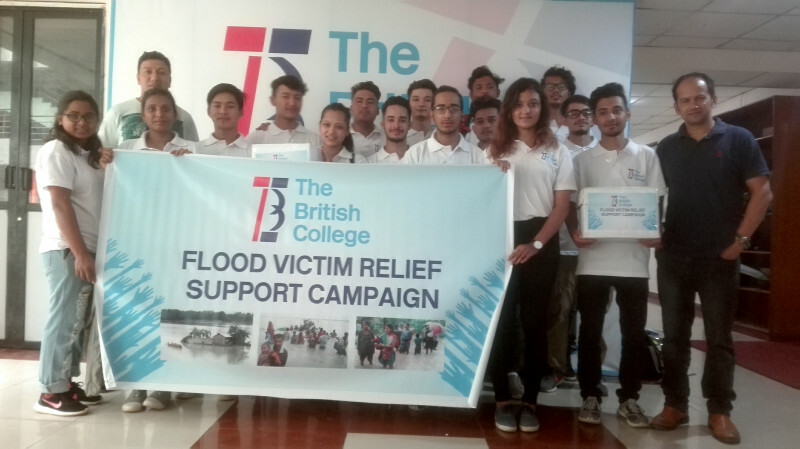 Students of The British College organised a donation campaign to support the Terai flood victims. The students divided themselves into 5 teams, visiting different locations asking for support from local people. 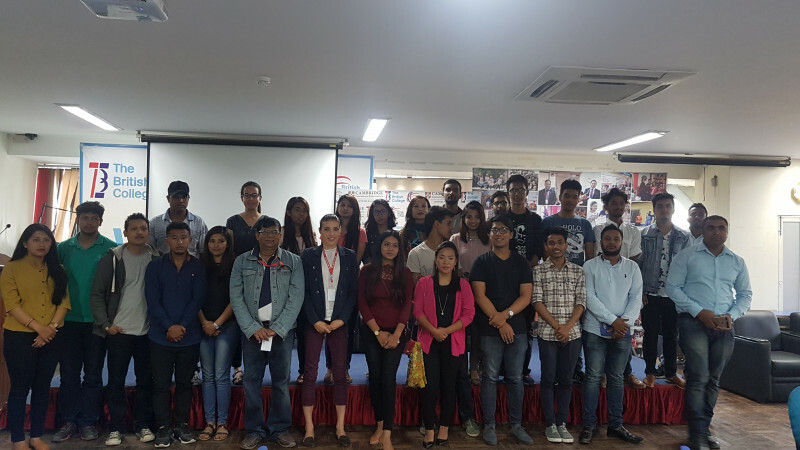 The students went to many different areas inside the Kathmandu valley including Pashupatinath, Boudhha, Mangal Bazar, Basantapur, Kumaripati and Durbarmarg. The A Level student elections for Class Representatives, Batch Representatives and Student Committee Representative began today with all candidates taking to the podium to deliver their proposal speeches. Candidates brought everything they had in order to rally their fellow students for precious votes and it is safe to say they got the audience’s attention. Votes will be cast and counted today before the announcement of successful candidates tomorrow. Good luck to all those running.